Maximising budget and timeframes for high value return. 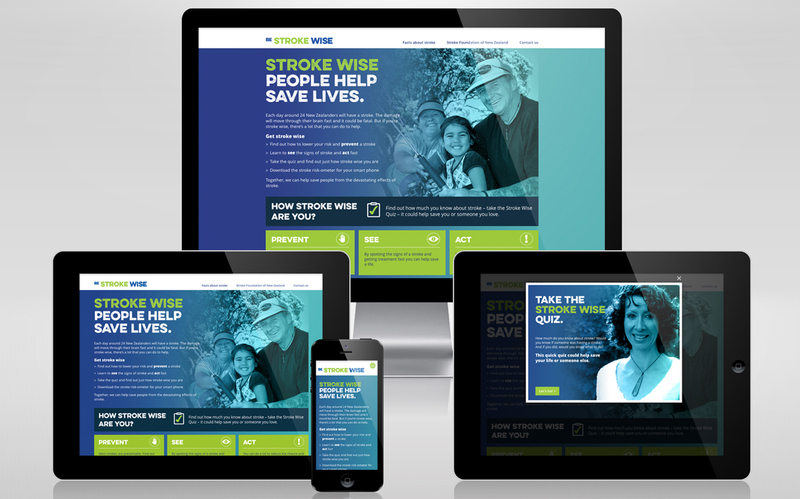 Development of Strokewise platform for the Stroke Foundation of NZ. 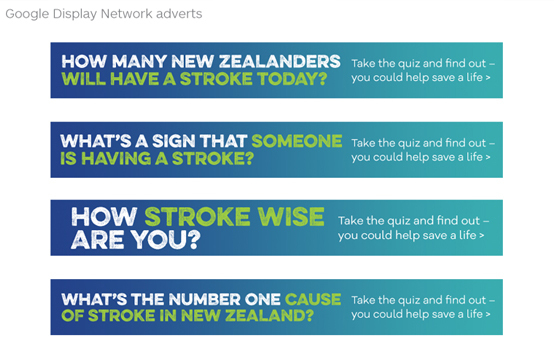 Stroke Foundation of NZ had just one week to make as many people around New Zealand aware of the effects of stroke and what can be done to help minimise risk and suffering. Just one week – just a little time and just a little budget. So we needed to gain as much value from our week as possible. We developed a strategy that enabled on-going education and awareness and utilised the week as a launch of a new platform. We decided to create a message platform that would last a number of years and could be added to over time. The best place for this to sit was on the web. 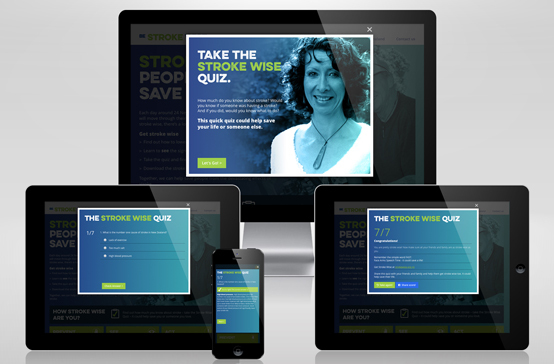 After developing the idea of ‘Stroke wise people help save lives’, we created a microsite which would bring the idea to life through simple tips and a specifically design quiz, based on an earlier resource that the Stroke Foundation had developed some years earlier. 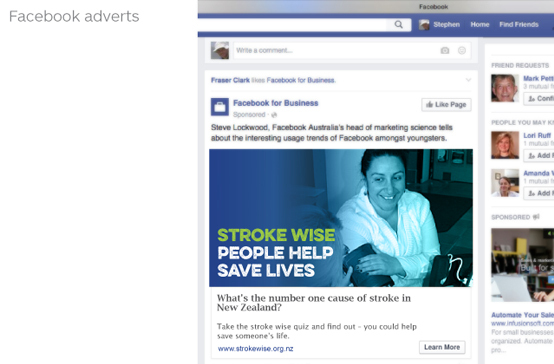 For cost effectiveness and time constraints, we kept our media focus on Facebook and Google Display Network.